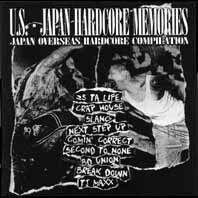 JO99-48 25 TA LIFE / SLANG "Never Tear Us Apart"
Split 7" ep by "25 Ta Life" from New York and "Slang" from Sapporo(Japan). When 25 Ta Life toured Japan in '97, Slang played as their front act. Live recordings at the show called "Few Da Real" in Nagoya(JAPAN).